GREEN BAY, Wis. — Northeast Wisconsin is buried under historic snowfall and now a thaw is on the way, there’s new potential flooding concerns. The Federal Emergency Management Agency, FEMA, is predicting Wisconsin’s flood risk to be above to well-above normal throughout March and April. 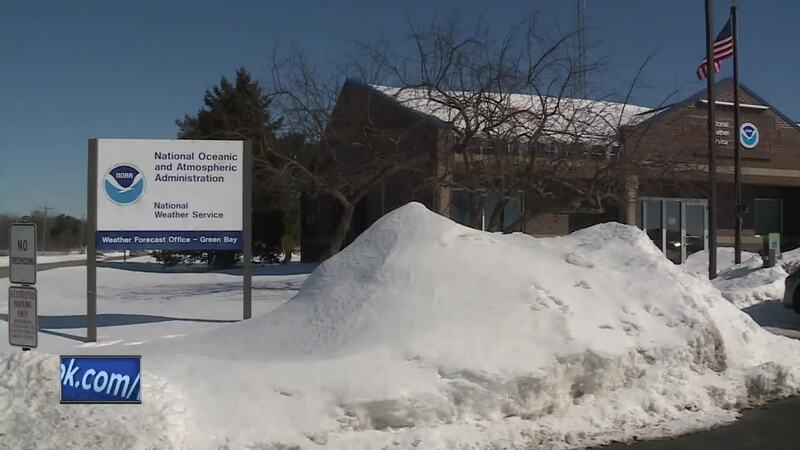 The National Weather Service says the snowpack in the Green Bay area contains one to three inches of water. With the melting of snow and spring rain coming, they're concerned. "There is an above average chance for flooding along the rivers in northeast Wisconsin because of the snow packs, so that's something we're going to be watching over the next month and a half or two months,” said Jeff Last, the Warning Coordination Meteorologist at the National Weather Service in Green Bay. However, the National Flood Insurance Program says more than 25% of all annual flood claims come from homes outside areas at high risk for flooding, so here's some tips on how to prepare for a flood. - Get flood insurance to protect yourself from the financial risk. - Prepare your house by placing electrical components like a furnace washer, dryer, etc. 12 inches above the projected flood elevation and making sure you have a working sump pump or installing a battery operated one in case of power failure. The Wisconsin Insurance Commissioner says it takes about 30 days for a flood insurance policy to go into effect, so if you have not yet purchased flood insurance, it's suggested you do so now.